Kitchen! Kitchen! : salmon - pan seared to perfection....at kitchen! kitchen! 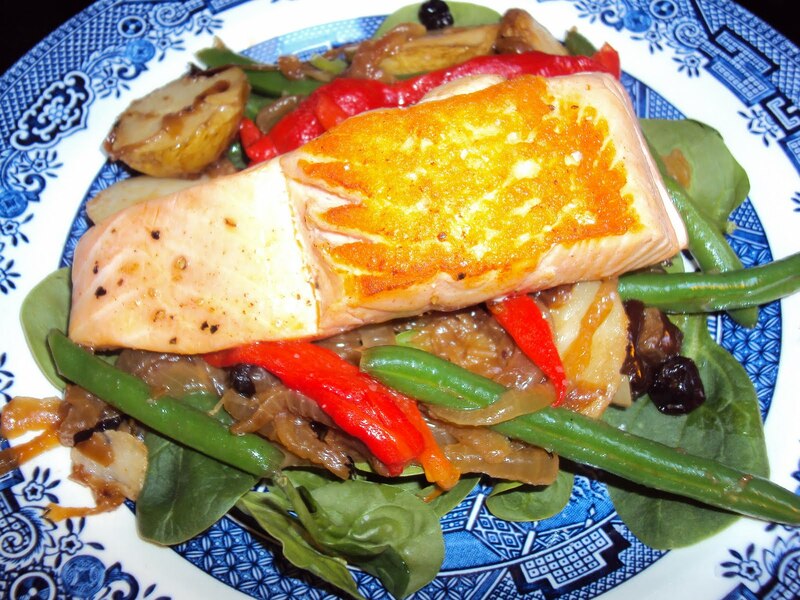 salmon - pan seared to perfection....at kitchen! kitchen! bed of salad. Absolutely delicious! Season lightly with salt and pepper and pan sear in olive oil - it's that easy. I used reconstituted dried cherries in lieu of fresh figs, added roasted red peppers,blanched string beans, and baby spinach. Make your own "symphony of taste" and you'll love it!